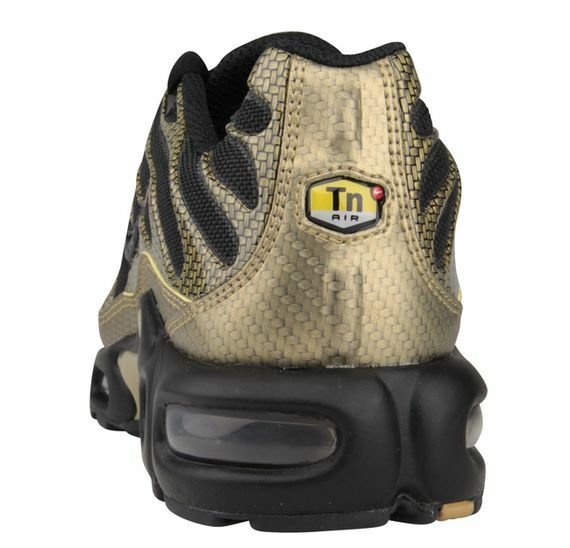 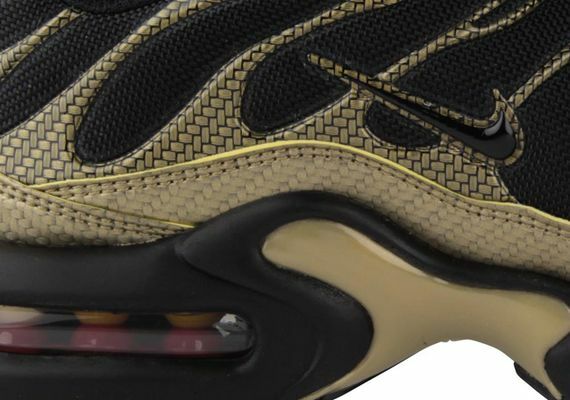 Nike Air Max Plus (Tuned 1) "Woven Gold"
The Nike Tuned Air project lasted a short while during 90’2 but it produced some favorites like the Nike Air Max Plus. 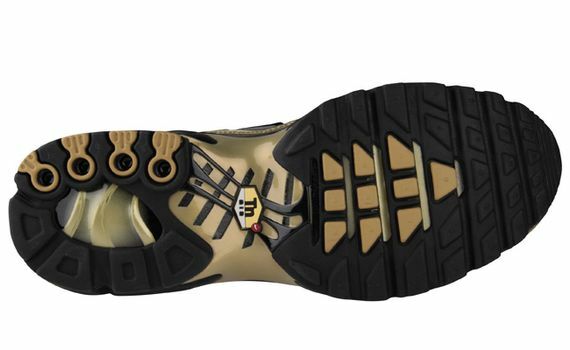 The Euro market is flush with running shoe gems, and i looks like these will end up being a Foot Locker EU exclusive. 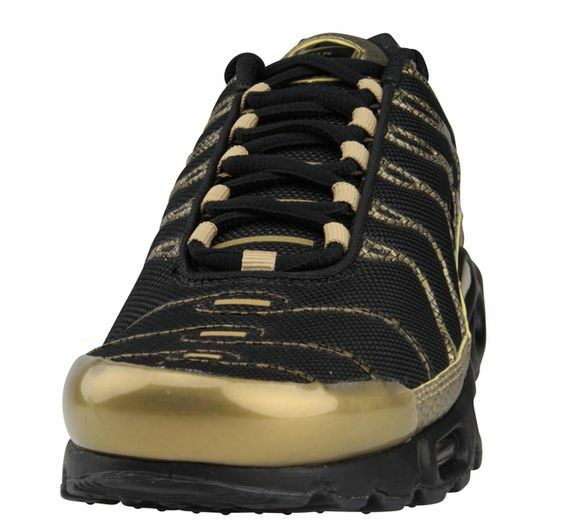 This example flaunts a “Woven Gold” color scheme which boasts a gold woven patterned gloss material along the upper. 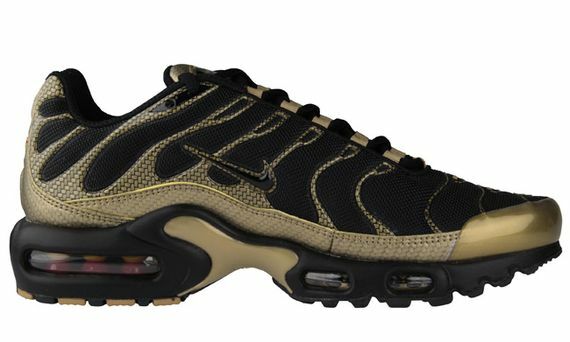 A black woven mesh makes up the rest of the shoe, making for a very attractive package.